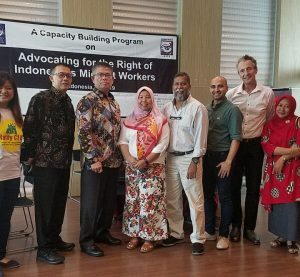 As part of the regional campaign for the ratification of ILO Convention 189 on Decent Work for Domestic Workers, MFA developed the 12 reasons to Ratify ILO C189. Please find below the full text of the publication. A PDF copy of the publication can also be downloaded below. Statistics from the International Labour Organization indicate that there are currently 67 million domestic workers across the world. They comprise a big part of the global workforce. ILO C189 affirms thefundamental rights of domestic workers and sets minimum labour standards on decent work fordomestic workers. Employers have a range of ideas about who domestic workers are – they are variously seen as ‘servants,’ ‘helpers,’ ‘caregivers,’ ‘maids,’ and even ‘members of the family.’ Casting domestic workers as anything other than workers invites employers and states to justify all manner of unjust, discriminatory, disrespectful, undignified, inhumane, violent, or illegal treatment of domestic workers. The recognition of domestic work as work legitimizes the claims of domestic workers to dignity in the workplace, respects their labour rights, and renders them visible to authorities tasked with ensuring that labour standards are enforced. The Convention recognizes codifies the paradigm shift of the way our societies view domestic work. Domestic work remains a highly feminized sector with 80 % of domestic workers’ being women. ILO statistics indicate that 1 in every 25 women workers worldwide is a domestic worker. ILO C189 is a milestone in the long struggle for women’s rights. It challenges the notion that women domestic workers simply carry out the caring functions for which they are naturally suited, and for which the normal rules governing work should not apply. Ratifying ILO C189 is a step to advance gender equality in the world of work and ensure women’s equal rights and protection under the law. Domestic workers comprise a significant part of the global workforce in informal employment. The emergence of the modern informal sector is a response to the rise of the neoliberal economic system, which relies on the exploitation of low-skilled and marginalized workers for its survival. Workers have long struggled to realize their rights under this system with the consistent support of the ILO. This Convention represents the hope of those workers who continue to struggle that their rights to decent work will someday also be realized. Due to the nature of their work many domestic workers are working in isolation, where there is little or no inspection or monitoring of their working condition and vulnerability to exploitation, violence and abuses. Many experience forms of abuse from physical, verbal, and sexual violence, lack of rest, non-payment of wages. Their situation can quickly turn into forced labour. Ratification and implementation of ILO C189 ensures that these abuses are ended and are taken to address forced labour. Millions of children around the world are forced to work in paid or unpaid work in households other than their own. Many of these children are in vulnerable situations because they are working below the minimum wage and are working in hazardous conditions. ILO C189 require states to protect children from child labour in domestic work, while ensuring that young workers who can legally work are provided with decent work conditions and do so without compromising their education. The ILO Convention 189 is an important step towards achieving decent working and living conditions, respect for human rights, fundamental rights, and access to social protection for domestic workers. Article 14 of ILO C189 states that domestic workers should enjoy conditions that are not less favourable than those applicable to workers generally in respect of social security protection, including with respect to maternity. Many countries are experiencing demographic transitions including lower fertility, lower mortality and longer life expectancy. This means more people will need support and care but, with low fertility rates, less people are able to provide care. In many countries the solution provided are migrant domestic workers. In many of these countries however, governments ignore the growing demand for domestic work and are unable to provide support and protection for migrant domestic workers. This leads to exploitative working conditions, obstacles to recognition of skills and qualification, inadequate service. Ratifying and implementing ILO C189 will address these concerns. Among the key topics discussed at the 2015 Global Forum on Migration and Development (GFMD) was recognizing the contributions of women migrants including migrant domestic workers to the economic and social development of countries of origin and destination.The GFMD also recognized the need for governments to look at the economic and social benefits that host countries gain as a result of their women and men being available to participate in the productive labour market, at the same time as balancing work and family responsibilities in increasingly ageing societies.Ratifying the convention is a strong recognition of the economic and social value of domestic work and a call for action to address the existing exclusions of domestic workers from labour and social protection. ILO C189 has specific provisions for protection of migrant domestic workers in the recruitment process. It institutionalizes the principle of no recruitment fees charged to workers particularly domestic workers. The convention also states that domestic workers must be informed of the terms and conditions of employment, be provided with written contract enforceable in the country of employment, be protected from abusive practices by private recruitment agencies. The convention also requires States to enact bilateral and multi-lateral agreements to prevent abuses and fraudulent practices in recruitment. Ratification and implementation of ILO C189 aims to address conditions that lead to trafficking of migrant domestic workers. It provides for regulation of private recruitment agencies, address problems that arise in the recruitment of migrants and has strong provisions for protection in the work place. 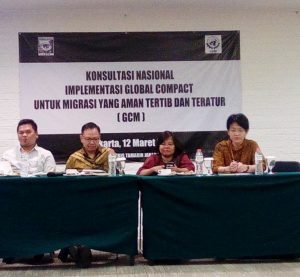 ILO C189 as well recommends for countries to cooperate at bilateral, regional and global levels for the purpose of enhancing the protection of domestic workers, especially in matters concerning the prevention of forced labour and trafficking in persons. In many countries, domestic workers are not recognized as workers under the labour law. As a result of this, they are often excluded from the right to organize and bargain collectively. The ratification and implementation of ILO C189 ensures this right. Article 3 Section A of the conventions recognizes fundamental principles and rights at work of domestic workers in particular freedom of association and the effective recognition of the right to collective bargaining.